Howdy partners! Have you heard the news? Technique Tuesday is having their first ever animal adoption drive! My sister and I had a horse for our Barbies, remember those? Our poor horse suffered a broken leg when she was galloping too fast, poor girl! I’m pretty sure it was my sister who did that…we kept her forever tho, she was never put out to pasture. I started off by inking her up with antique linen ink + a Tombow black marker for her eye — you can use any dye based marker for this, but not a permanent one like a sharpie or a Copic — those will just stain your stamp and not come off on the paper. I stamped her on bristol paper — love using this for gouache as it’s really smooth and it won’t buckle under layers of paint. Then I went to town coloring away. 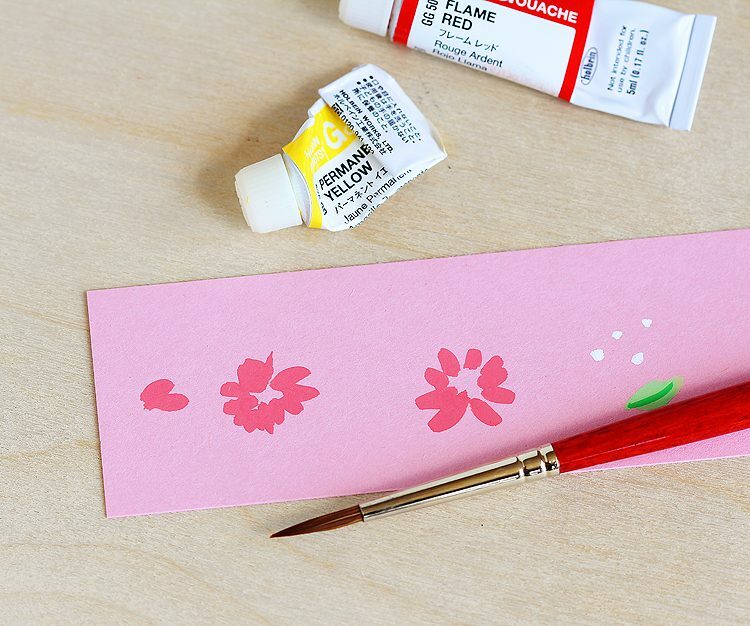 It’s really easy to using gouache as it’s opaque so you can put light colors over dark. Whoa! And then! Going back to my Barbie theme I had to decided to make a calico inspired background on pink cardstock, once again taking advantage of how gouache is opaque. I just let the brush do all the work — almost anything looks like a flower after you add the center and some leaves. After coloring Hanna I cut her out with the matching die, because well yeah nobody should have to wrassle around with cutting out legs with scissors. This wasn’t my first rodeo, ha! Then it was just a matter of stamping the “WHOA you’re how old” on a strip of green and tying on some twine and lickety split, the front was done. 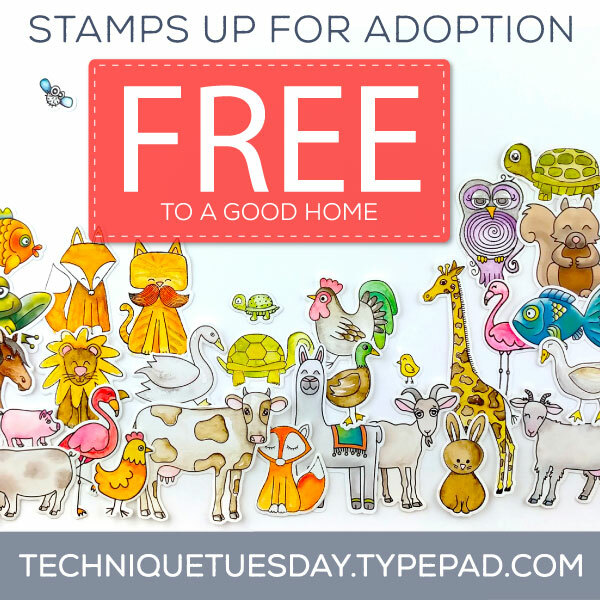 Have a look at all the cute critter stamps on the Technique Tuesday website. Click here. Choose your favorite stamp set. 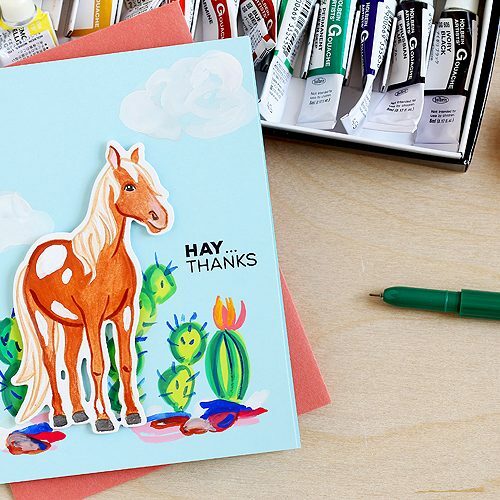 Leave the name of your favorite Animal House stamp set in a comment on the Technique Tuesday blog by June 29th. Be sure you leave your comment over yonder on the TT blog so your entry will count! Technique Tuesday will pick a winner and announce it on their blog on July 1st. 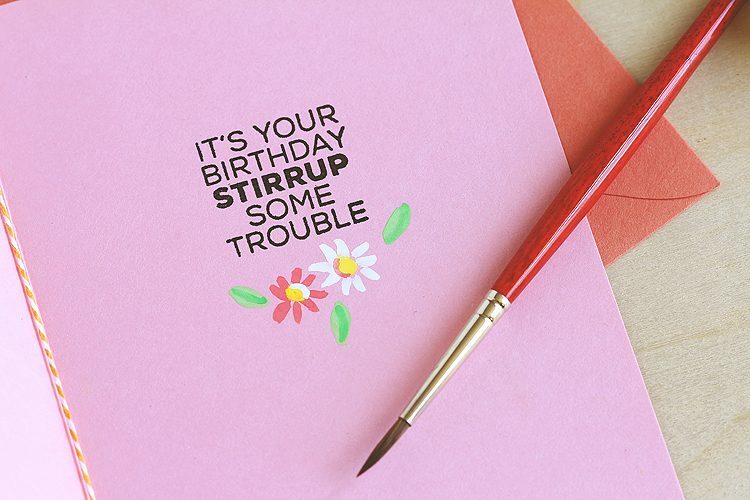 If you’d like to make sure you receive a free stamp set, you can! 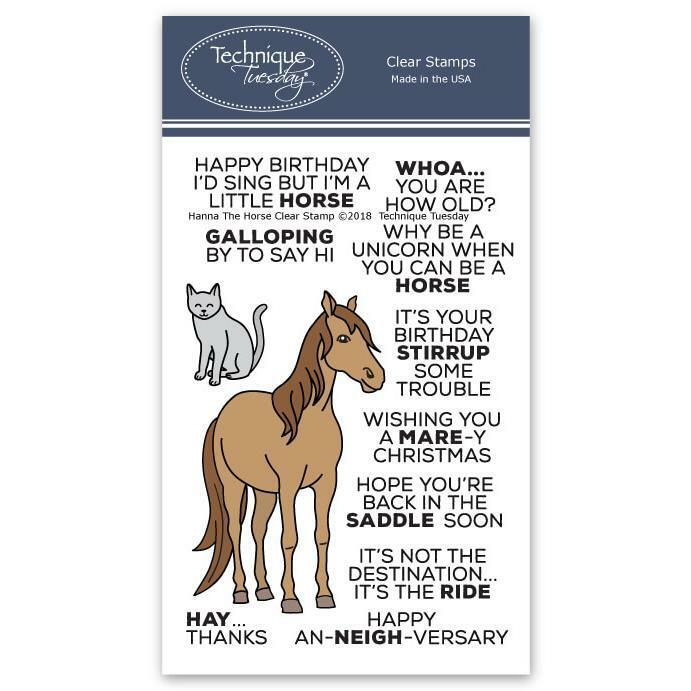 Everyone who is or becomes a member of the Animal House auto-ship program will automatically receive the “Hay Neighbor” stamp set in their June shipment. You can find more information about the “Hay Neighbor” freebie here. 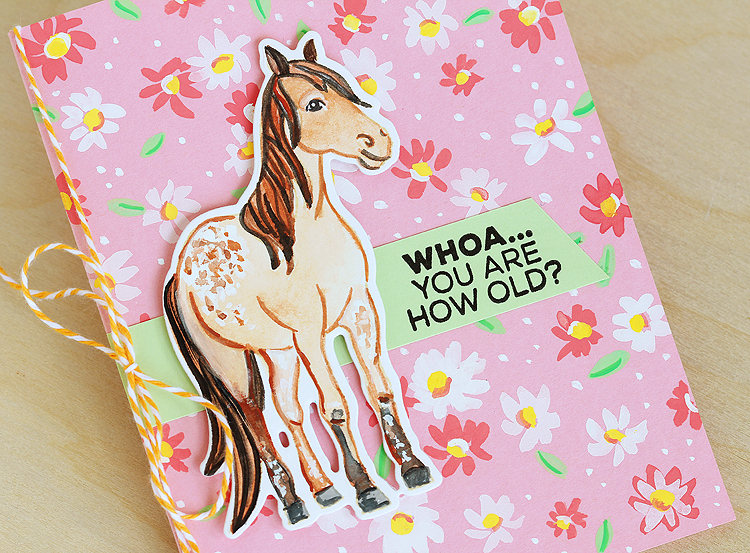 Find another card I made with Hannah Horse right here! New to gouache? 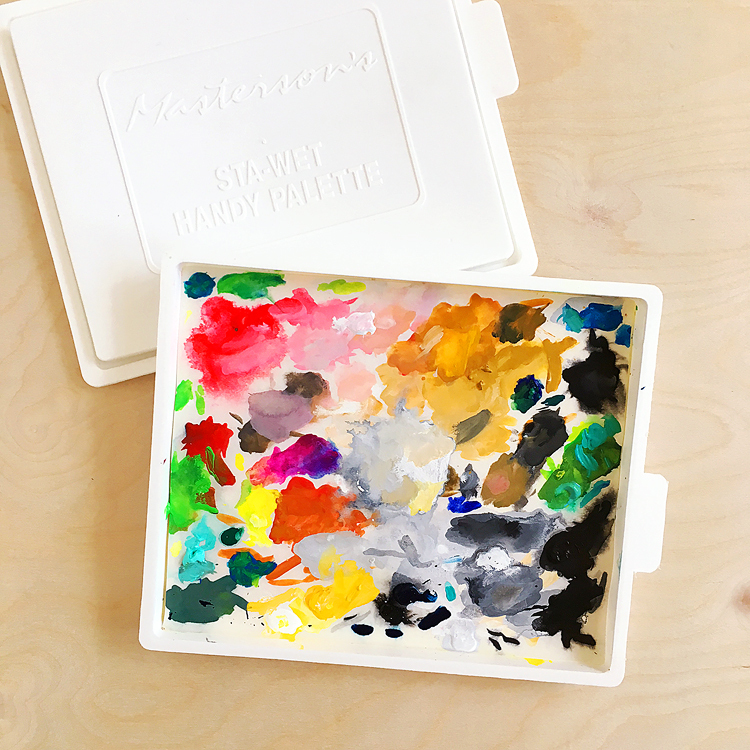 Mosey on over to this post for a roundup of the brands that I use, what the heck gouache is anyhow, and more things I’ve learned. 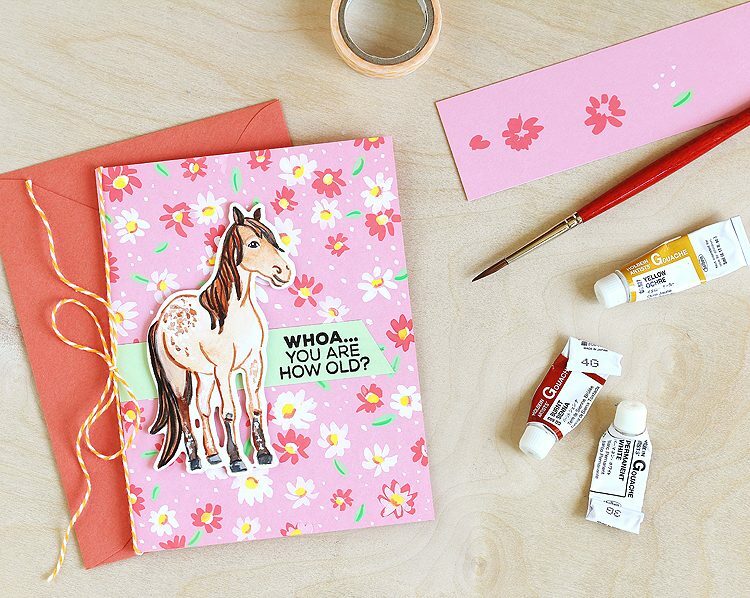 Gallop on over here for my brush roundup. 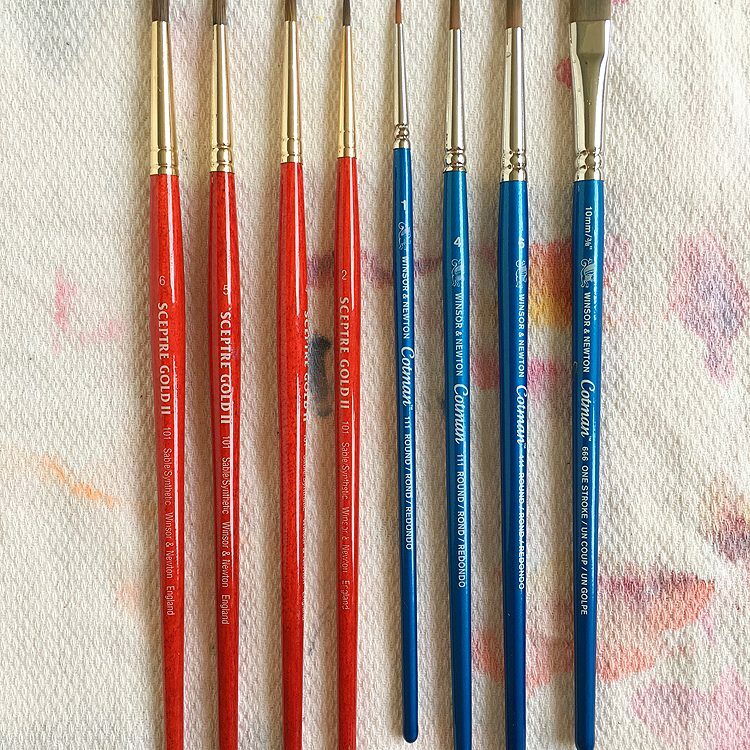 This is the set of gouache that I used for my card — it’s a great starter set. And while I was adding my Amazon affiliate link (thanks!) 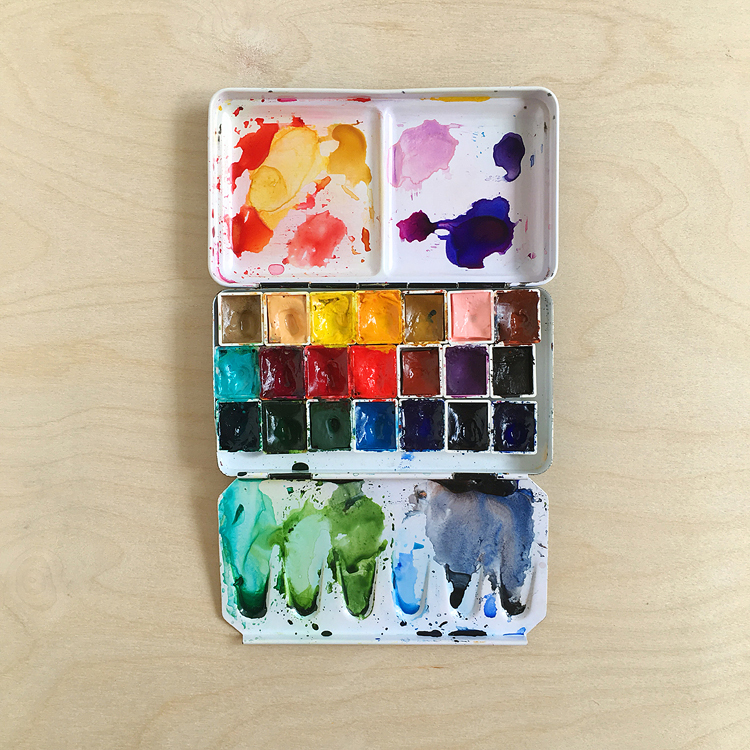 I saw where there’s a newer Holbein set with slightly different colors — that’s less expensive! — here. 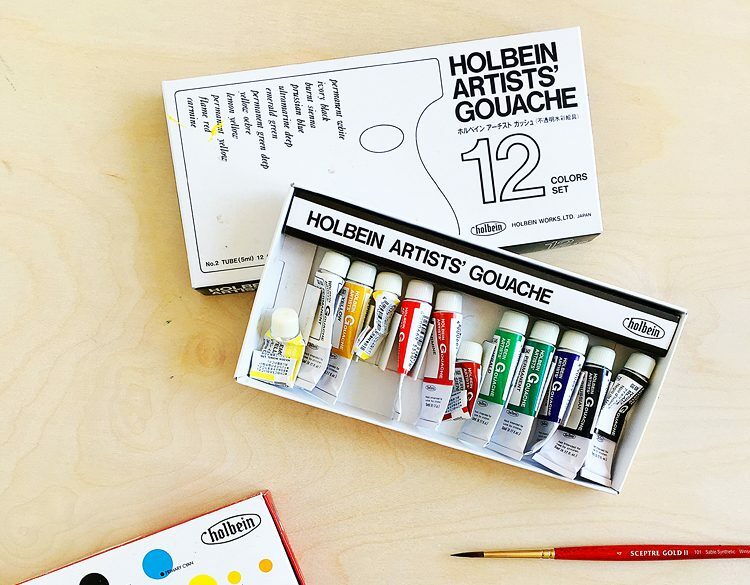 Holbein makes great gouache, can’t go wrong! 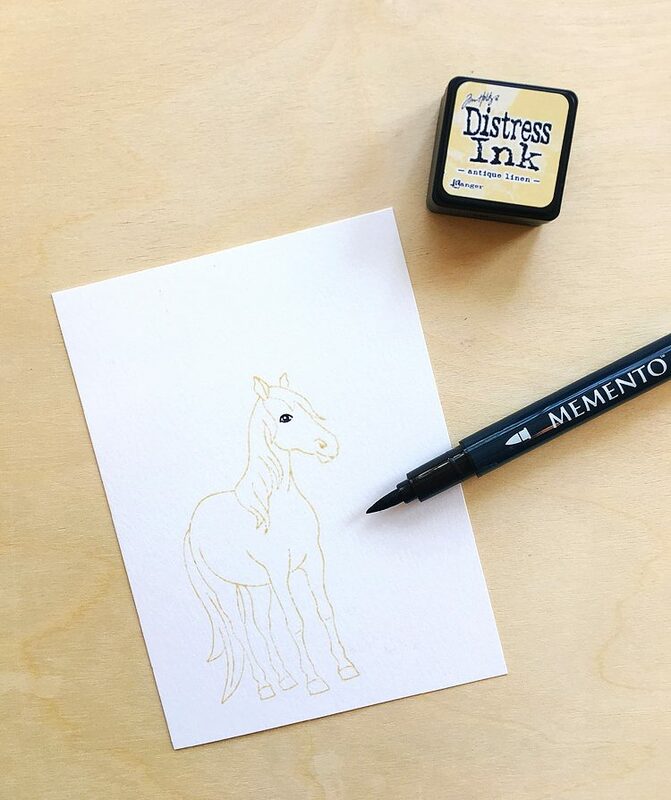 Annnd, here are the links to the supplies I used over at Ellen Hutson, where I’m an affiliate. If you make a purchase by clicking a link I’ll receive a small commission at no charge to you — thank you! Thanks so much for joining me! I’d love to hear if you all would like a video showing how I color with gouache. Annnnd don’t forget to leave a comment over on the Technique Tuesday blog to enter the contest. I’m a Featured Artist on Doodlewash!